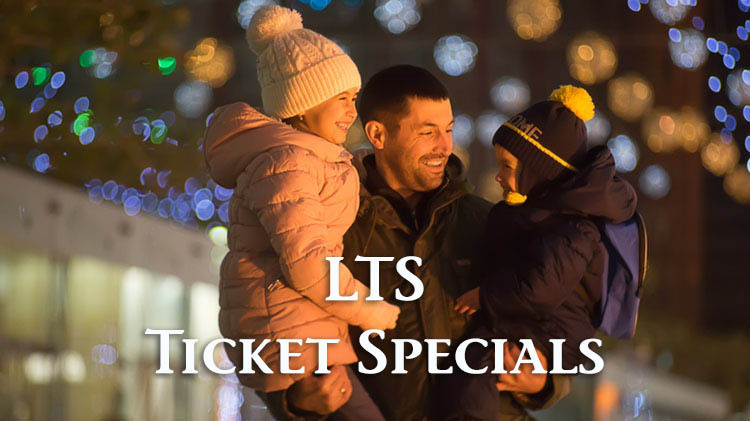 There is no excuse to be bored this winter with all of the MWR discounted tickets that LTS is offering! Seat pricing is based on individual games. Tickets must be ordered in person with a valid DoD ID. Tickets must be pre-paid and ordered at least 5 days before desired game. Capitals T-shirt included with each ticket purchase! Walt Disney World Military Salute Promotional Tickets 2019 (Jan 1 - Dec 19, 2019). *Note* Eligibility for the 2019 Military Salute Tickets is active or retired members of the U.S. Military, including the National Guard, Reservists and the U.S Coast Guard, the Commissioned Corps of the Public Health Service (PHS) and the Commissioned Corps of the National Oceanic and Atmospheric Administration (NOAA). DoD Civilians and Contractors are not eligible as of yet. If that changes, we will surely update our information. Visit LTS to view the complete Attraction List. For more information, call +1 (703)805-3714. Purchase tickets at the LTS Ticket Counter in the Community Center, 10300 Taylor Rd, Bldg. 1200. They are open Tue - Fri from 8 a.m. to 6 p.m. Eligibility: Active Duty Military, Retirees, Dependents and DoD Civilian Employees.